The Series 4 watch is an FDA-approved medical device. Here’s what that could mean for Apple’s future. Apple’s yearly iPhone product unveiling, the Super Bowl of tech events, wasn’t a snoozer. But on almost all points, the outcome was preordained. A torrent of leaks took the wind out of Apple’s sails in the weeks, days, and hours before the event. We knew the iPhone X’s new sizes and general features. We knew of the Apple Watch’s subtle redesign. Yet, there were still ample sparks of electricity in the air. Few companies run a product rollout show quite like Apple, and none do it in a space like the unrivaled Steve Jobs Theater. 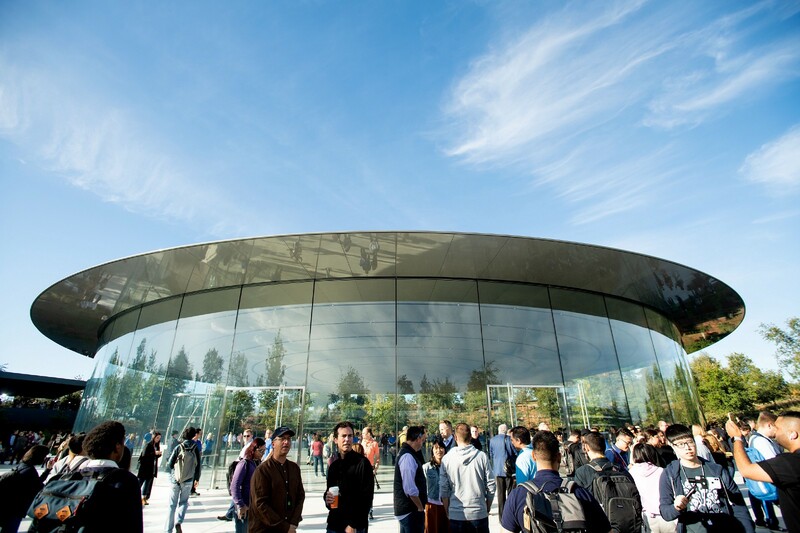 Similar to its much larger cousin, the nearby Apple Park Spaceship Campus, the Steve Jobs Theater is round. And inside the main circle are more circles, right down to the corkscrewing glass elevator. It’s like a cascade of curves guiding you to Apple’s next best thing. The theater itself maximizes stage viewing from all angles. Just in case you grow sleepy, its sound system literally shakes your seat to wake you. After a whimsical Mission Impossible-esque opening video that featured numerous Apple employees, including Apple CEO Tim Cook and, notably, Apple Watch lead Kevin Lynch, I watched Cook pace across the stage and lead with the Apple Watch Series 4 announcement. It’s not unusual for Apple to use another product category as a preamble for its main event. In this case, however, the Apple Watch’s story is almost more compelling than that of the iPhone. 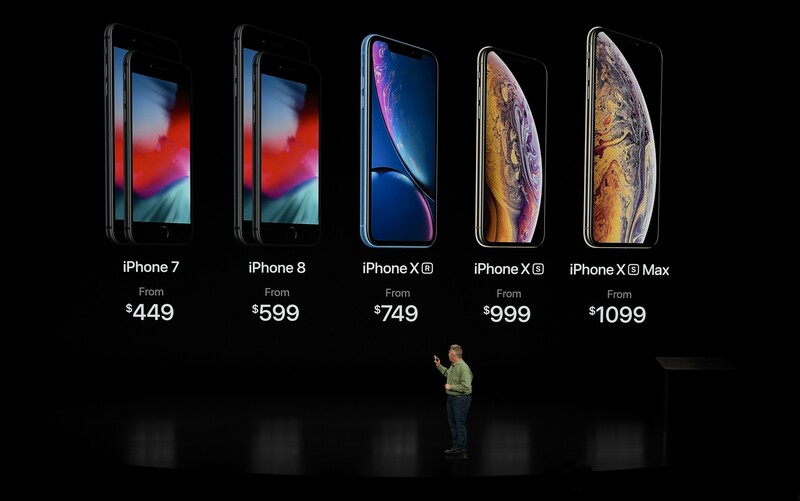 Sure, we got three new iPhone X models—the 5.8-inch Xs ($999), the $1,099, 6.5-in Xs Max (RIP, “Plus”), and the more affordable Xr ($749). This being an “S” year, the former two models are major chip (A12 Bionic) and camera upgrades (12 MP with all new hardware and post-pic Bokeh adjustment) to the original iPhone X, but not wholesale redesigns. The more “entry-level” model is actually a newish design, blending the best parts of the iPhone X’s look and feel with cheaper materials, lots of body color choices, and a single 12 MP camera system. Apple atypically shoved their latest and most powerful mobile CPU into this iPhone X model as well. The Apple Watch Series 4 isn’t a wholesale redesign either, but Apple made the watch bodies slightly larger and increased the screen size by rounding out the OLED screen corners. It made the watch sleeker by seating the button flush with the body and thinning out the digital crown. In fact, the whole watch is thinner than all previous Apple Watches. Again, much of this news had already been leaked. What I didn’t see coming, and I’m not sure anyone did, is that the Apple Watch would become an FDA-approved medical device. This is the first smartwatch capable of doing a single-line EKG, or electrocardiogram, which is a record of your heartbeat produced by electrocardiography. I’ve had a few EKGs in my lifetime. My doctor lies me down on a table and places a dozen or so sticky electrodes on my body (removal is unpleasant) to get a heartbeat rhythm reading that usually shows up in reams of paper or an equivalent on their computer. This is not exactly that (and some on Twitter took issue with Apple calling it an EKG). It’s a consumer electronic fashion wearable that got FDA approval. The Apple Watch Series 4 takes a single reading. It uses a sensor on the base of the watch (now all sapphire and ceramic) and another in the new digital crown. To complete the circuit, you can hold a finger on the crown for 30 seconds to get a single reading, one that can tell you at least if you have what’s known as sinus rhythm. My deep medical knowledge (based on years of watching ER and Grey’s Anatomy) tells me that’s the reading you want. You can also share that reading with your doctor through the iPhone Health app and then via PDF. This is a very big deal. First of all, it’s a consumer electronic fashion wearable that got FDA approval (similar approval for other countries is still in the works). In my mind, that transforms the Apple Watch Series 4 from a useful notification device and activity tracker into a serious piece of personal hardware with, possibly, lifesaving potential. Apple put sensors in the base and the digital crown. Combined, they can give you a reading like this. Sure, the EKG App isn’t done yet, and it’s not super-clear when or why a consumer might decide to take their own EKG through a smartwatch. 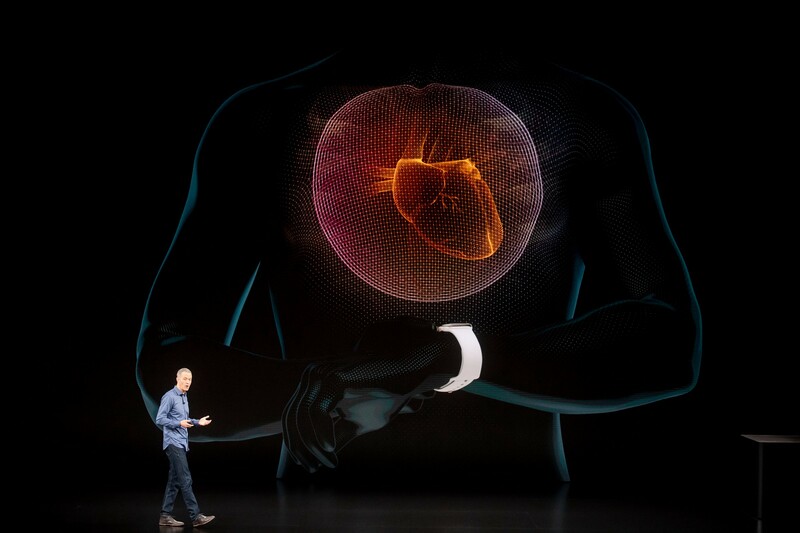 On the other hand, if you’ve ever felt palpitations or heart flutters — or maybe even an irregular heartbeat — you might be inclined to see whether, at the very least, the Apple Watch Series 4 can spot something off. 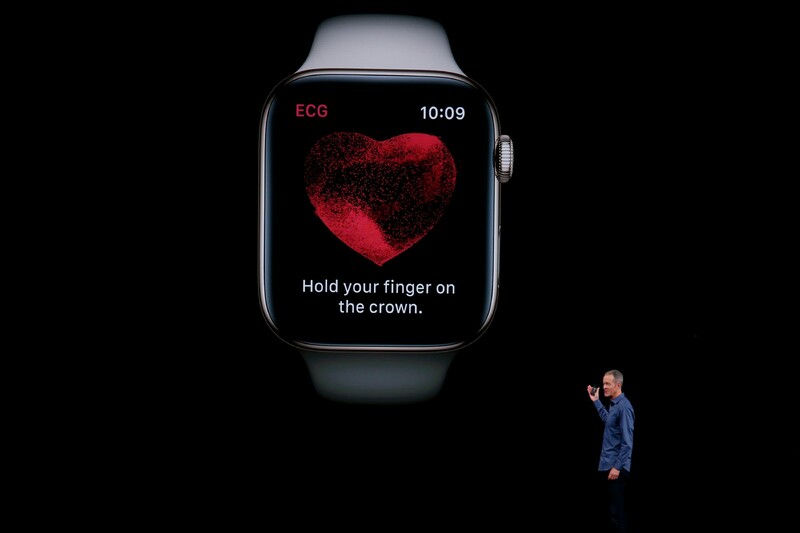 By the way, this wearable also watches for a slow or irregular heartbeat but does so primarily through the heart-rate sensor that’s existed since the first Apple Watch. Is there any product that points to Apple’s future ambitions as clearly as the Apple Watch Series 4? 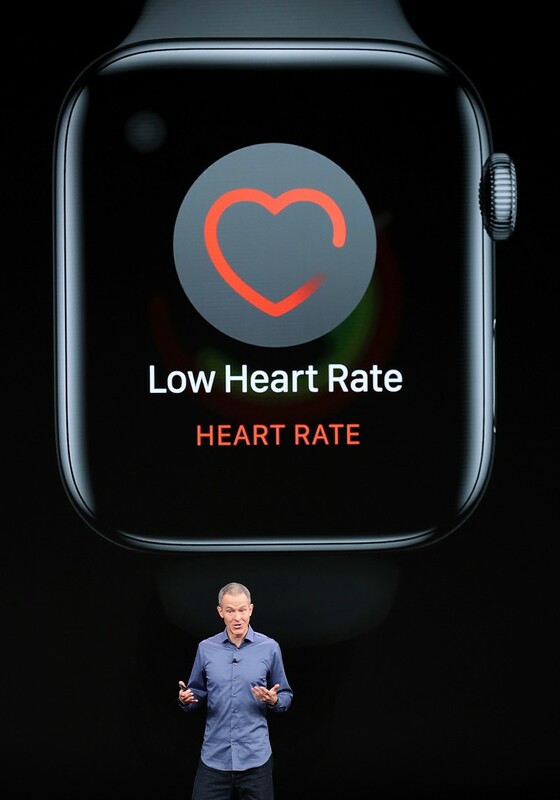 When Apple Watch Series 4 isn’t watching your heart, it’s watching your step. Moments after telling us how Apple can keep tabs on your ticker, Apple revealed that the Apple Watch Series 4 is now going after Life Alert’s business. The device includes an optional setting in emergency contacts to turn on Fall Alert. If you take a tumble, the Apple Watch’s accelerometer and gyroscope will detect it and generate an alert. If you don’t move or touch the watch for a minute, it contacts emergency services and your main emergency contacts. Remember when wearing a watch was just about fashion and telling time? Back when Apple unveiled the iPhone X, it was positioned as the future of iPhone design. 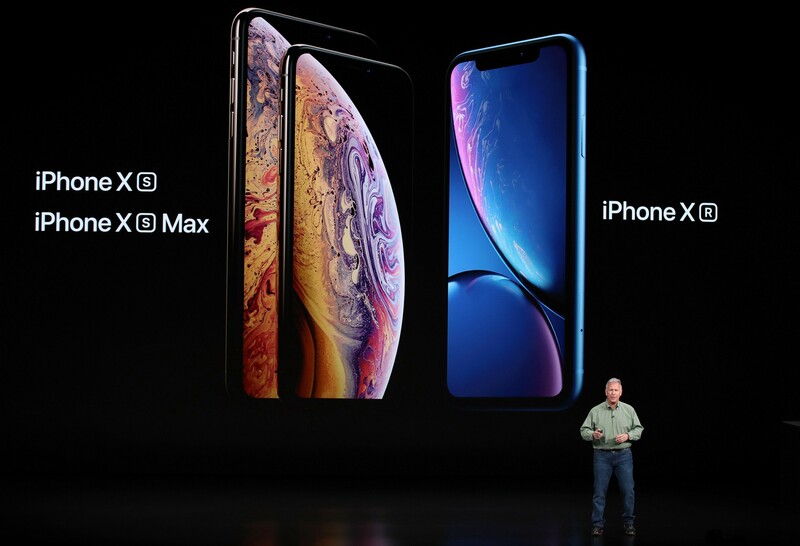 The new iPhones, the Xs, Xs Max, and Xr, bear that out. But the future of Apple shifted a bit on its axis. The Apple Watch is, with cell service, a device capable of working as a stand-alone communication, activity, health, contact, and information device. Yes, the screen is too small to interact with for extended periods of time (though, yes, I have read quite a few emails on mine), but is there any product that points to Apple’s future ambitions as clearly as the Apple Watch Series 4? Apple has been interested in the health market since Steve Jobs and iOS 3.0, when Apple sought to connect the mobile platform to third-party medical devices. Now they can build their own medical devices. I’m not saying the iPhone Xs, Xs Max, and Xr weren’t ultimately the stars of the show. However, as is tradition with the S-model years, it’s the components that count, not the design. Still, the product that people will be talking about long after Tim Cook put his clicker back in the Mission Impossible briefcase, is, I think, the Apple Watch Series 4. You can view my full wrap-up and quick hands-on with all the new devices in the video below.